I first got hooked on super soakers when I bought my first gun, the SS MDS. Since then I have come along ways to get to where I am today. My current arsenal includes a CPS 1200, two SC 400's, an XP 220, and of course, my water balloon launcher. Besides water guns, my hobbies include chess and windows game programming. I am currently on a club swim team at the varsity level. 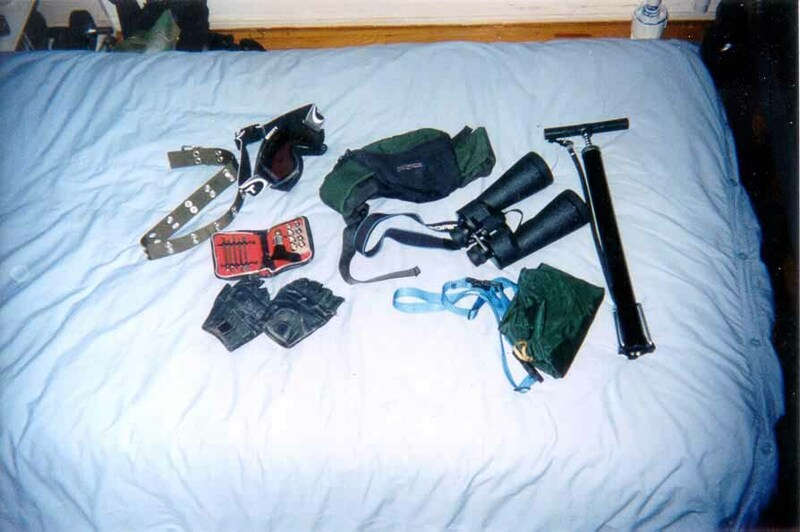 The following pictures include some the equipment I take on sniping operations. 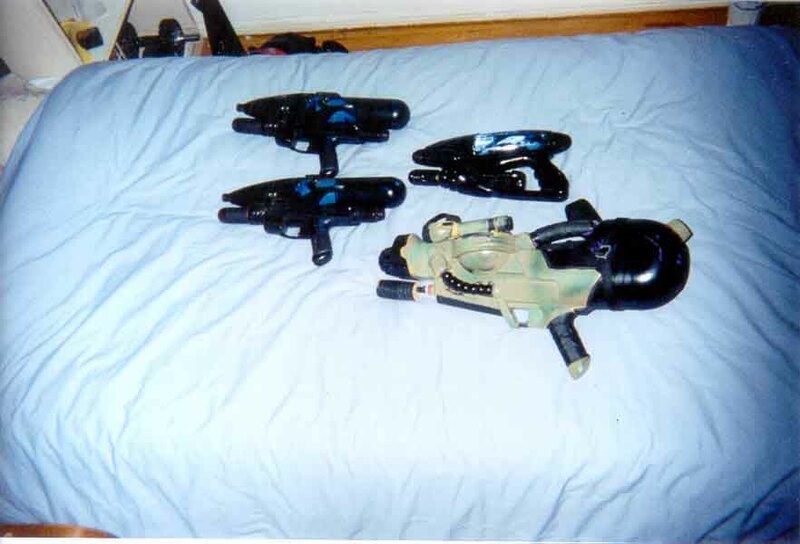 The second picture are some of my more heavily used soakers when I am not sniping. My Assault Weapons - Internally modded CPS 1200, complete with a flashlight carrying pouch for various items. The pump handle broke so I had to make a new one. An XP 220, small gun, kinda crappy but I still use it because it's small and easy to run fast with. Dual SC 400's, only good for urban fights, plus it looks cool when you weild them, hehe. If I am going to have any major water fights I’ll post it in this next section. Summer 2002- 1 v 1 with Sergio, other people might come. Although bus loads of people wont be here, this fight should be really intense nonetheless since he and I are well trained warriors, and the last time we had a 1v1 I lost. Summer 2002- 3 v 3 night fight with some friends. Havn't decided on a location yet but we're preparing.